This is another new composition by talented composer Jeff Smallman. 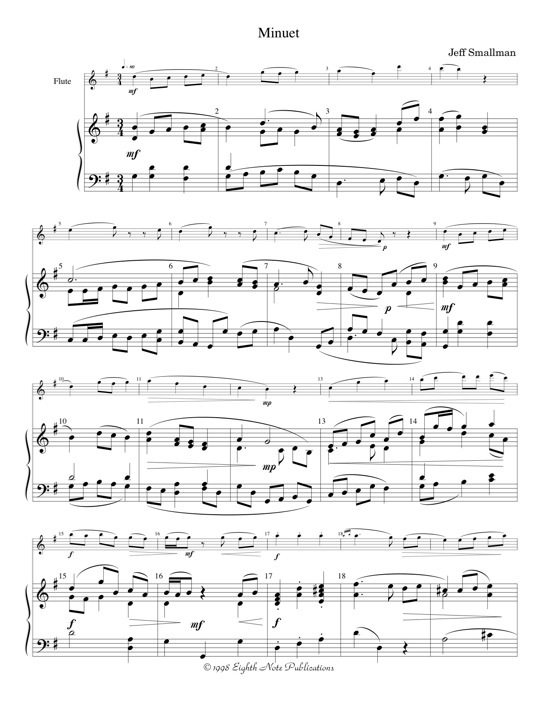 This short flute and piano piece is ideal for a high school level player to enter a competition with or perform at a concert or recital. Tuneful melodies and an interesting piano accompaniment make this an excellent addition to the repertoire for solo flute.